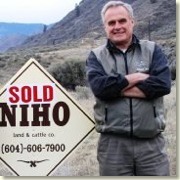 Rudy's Tips Archives - Welcome to NIHO Land & Cattle Company Ltd. 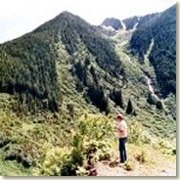 I have been buying recreational land for over 45 years. 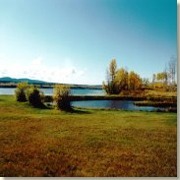 Through the years I have developed my own 20 Step System on how to buy recreational land. The following is a short version of my system. 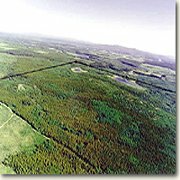 I have purchased hundreds of properties all over British Columbia, with various resources on them, such as timber, gravel, hay, or even peat moss. But I never buy raw land without first obtaining air photos of the property. 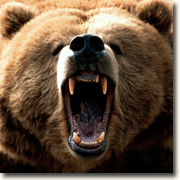 I well remember my first bear encounter when I was still a very young boy. The only bear I had ever seen prior to this encounter was a drawing in a childhood storybook in Holland. My family immigrated to Canada from Holland in the early fifties and moved to a remote hunting and fishing lodge on a lake in north-central British Columbia. My mother worked at this lodge and it was here that I was given my first job at the age of 10. 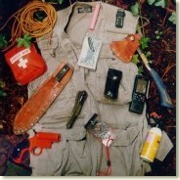 In my seven day survival vest, I carry many things, including 100 feet of thin strong nylon rope which I store in the back of my vest. Rope is very handy out into the bush. I have used it not only just for camping, but it has gotten me out of some very tight situations. Out in the wilderness, you may not have a tent, or you may be unexpectedly caught in the woods overnight. It happens to the best of us. You are enjoying a marked trail, and decide to go a little further than you should into the unmarked woods. Maybe you misread a map or your compass settings, and wind up going the exact opposite way than you should. And all of a sudden, you find yourself in an unfamiliar setting, with no idea how to get home. That’s right, you’re LOST! Hundreds of people each year get lost in British Columbia’s wilderness. Anyone can walk into the wilderness and walk out again in two weeks. How you fare in those two weeks depends upon how prepared you are. The English used to go on safaris for months into the South African wilderness and would have 30-50 porters with them, and when camp was set they would have a table, white linen cloth, crystal glasses and a bottle of wine, and good meals. This is what we called “prepared”.